The company is tendering for a number of projects in these areas and will soon require more builders. Passive house experience and knowledge is a bonus but is not necessary as training will be given. It is essential that applicants have a commitment to building sustainably and to the highest quality standards. 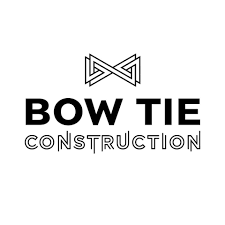 Bow Tie Construction utilises a number of modern technologies, including cloud-based project management, and is particularly seeking workers keen to take advantage of the efficiencies and savings that such technologies offer. Bow Tie have recently undertaken BIM scanning of an Enerphit refurb project in Kennington in London and intend to use BIM on all future projects. For company contact details visit www.bowtieconstruction.co.uk. Award-winning specialists in sustainable and #Passivhaus new builds, home refurbishments, extensions, renovations, loft conversions and more.